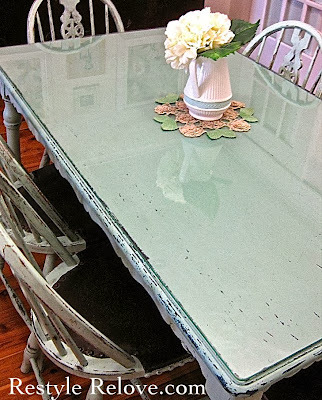 This week I'm revisiting a Farmhouse Style Vintage Green Dining Table and Chairs I restyled 2 1/2 years ago. I painted the chairs first. 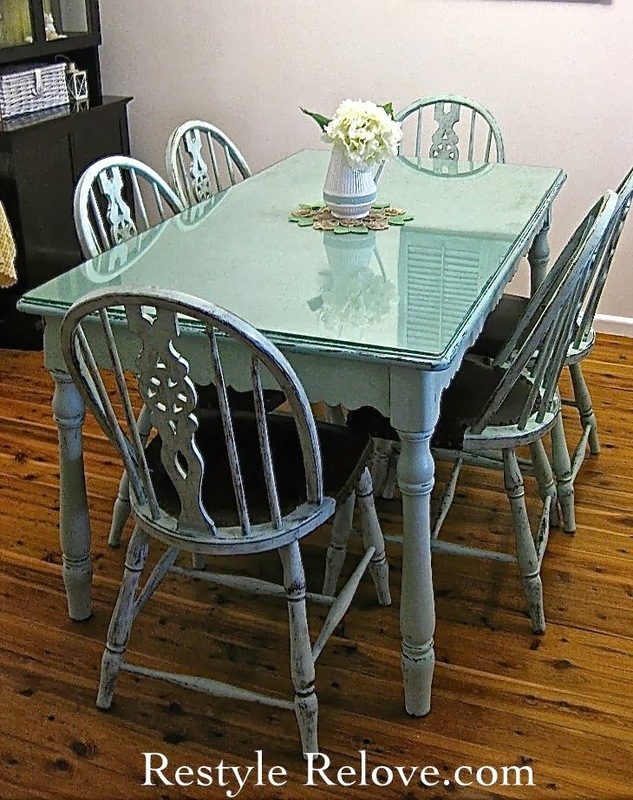 I went with a vintage mint green colour that I mixed up myself. I decided to keep the original brown leather seats as they were in excellent condition. I just used some leather polish to freshen them up. 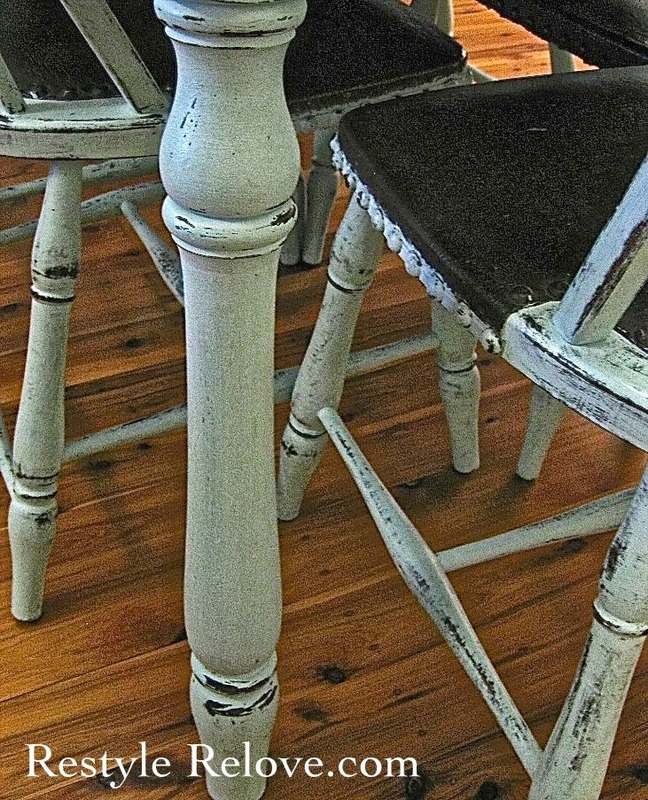 The original upholstery tacks really give that vintage farmhouse feel. for the tabletop I decided to go with an aqua green to give it a subtle contrast. 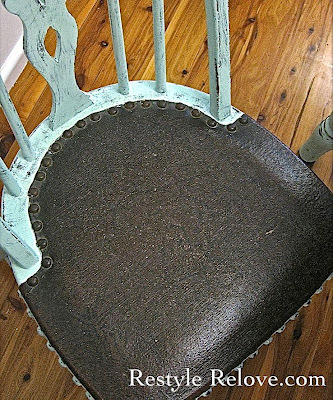 Then I lightly sanded and distressed all the chairs and table to highlight and bring out all the beautiful details. Finally, I applied 2 coats of furniture wax to seal and protect. 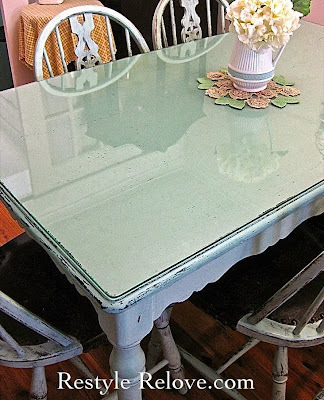 I wasn't sure whether I would keep the original glass top, but it really compliments the table and I love the way it reflects light. This setting went to a lovely new home and I often wonder if they love it as much as I enjoyed restyling it. It still remains one of my favourite projects. 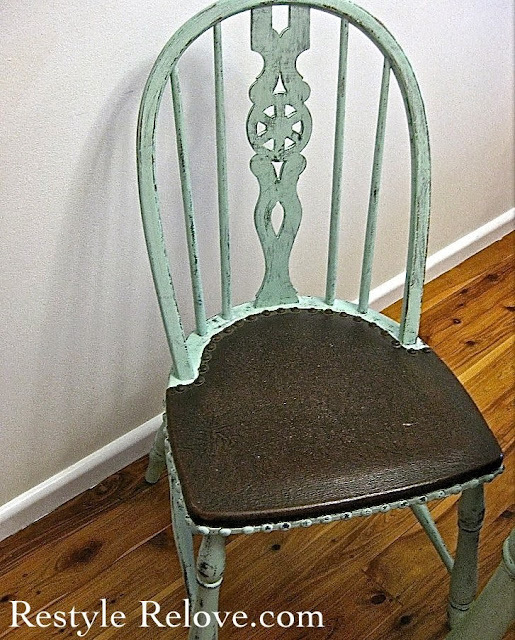 Wow, it turned out beautiful, Julie! It looks beautiful, I love the color!